The LAUNCHub seed fund is excited to announce the opening the fourth application call for financing of digital startup companies. All committed teams from South-East Europe (SEE) developing future disruptive technologies in the Digital Tech Sector are encouraged to apply here. The application deadline ends November 3, 2013. The culmination of the LAUNCHub funding selection will be the four-day Long-Weekend Event in the end of November in Sofia, where shortlisted teams will receive several days of coaching and mentoring and will have the chance to pitch their ideas and get approved for seed investment. The successful applicants will receive funding of up to 200K Euro in exchange of equity and will participate in the LAUNCHub mentor-lead programme scheduled for February 2014. During the call LAUNCHub will be seeking to identify and meet the most promising teams, focus being placed on startup companies that have formed their teams and can present some traction – if they have a prototype, early adopters, first customer reviews or testing. The successful teams will not be required to move to Bulgaria. When the investment is signed there is an intensive period of 8-10 weeks of mentor-led programme in which they will need to travel and attend different mentoring activities in Bulgaria, together with powertalks and workshops. As a café, it’s elegant, but friendly, cosy, yet professional, definitely the place for introductions to take place and partnerships to shape. As a 350 seats auditorium, is definitely the place where ideas get spread and excitement happens. 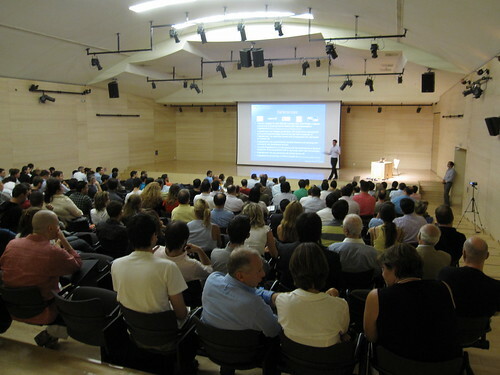 We’re referring to Benaki Museum of course and, after three Open Coffee events been hosted there, I bet we all agree that the Museum is the best place our event has ever been to, probably the most appropriate in the whole city of Athens. Today, we are excited to expand our cooperation with Benaki Museum, and announce the dates for our forthcoming events till June, all of which will be hosted in the exceptional facilities of the Museum. 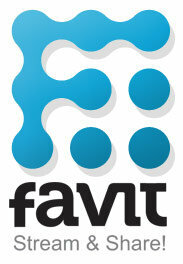 Favit is yet another startup which is here to address the problem of information overload. They do this combining a number of techniques but their core idea lies in collecting all news sources the user might need at a single point so that the information comes to the user rather the other way round. That’s why allegedly Favit is superior to other services like Google Reader because it allows integrations of multiple services. They also have some other interesting features such as allowing users to import sources of interest not by adding links but just keywords – in their native language. The interface is not just text based – you can also view news in images. You can also search the news sources you are following and the results appear in reverse chronological order. Hiding, liking and voting capabilities are also available and they feed learning algorithms that improve the user experience further while another central concept is that of groups of people from which you can learn and also push news to. When it comes to the Bulgarian startup scene where Favit originates from it is still nascent – most investing is in non-IT-related projects – and OpenCoffee-like events are quite rare too. To get started, Favit contacted a 40M Bulgarian fund specialising in IT and got funded to do localisation in order to ensure easy usage by simple humans and not just geeks. Interestingly, they secured that funding with not much more than the idea and at the very early stage it was pushed forward by a single, non-IT person – which is quite unorthodox. What is also intriguing is that the Machine Learning alogorithms are drawn from another company of the fund which also plans to setup a datacentre and generally create a ecosystem of mutually helped companies. Pragmaticomm was founded in 2005, is now employing 8 people across 4 countries and is operating in the field of Voice over IP which has recently seen huge growth due to the advent of phone applications (iPhone, Android etc). 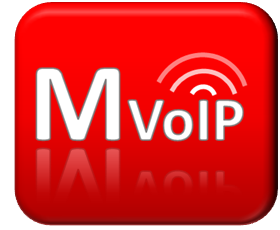 MvoIP is their flagship product and it is already a mature application that offers transparent, telco-independent communication. MvoIP basically offers free calls across the world between MvoIP users and ~10 times cheaper prices when talking to non-MvoIP users (incl. landlines). Compared to the first competitor that comes to mind – Skype – their difference is that they are open-source and use a different technology (they are SIP-based instead of Jabber-based) thus offering another type of product in an attempt to get their share of the market. Its main features are ease of use, ubuiquitus availability, good integration with the mobile device and has a good quality of services due to its maturity. On the downside, no encryption is implemented (although they are planning to include it soon) and voice continuity when going from wireless to GSM and back is not in place either. Their business model is another difference with Skype – they are offering B2B services: they are providing a VoIP services bundle to providers who in turn sell it to the end-user. Currently, they have secured a major customer in Vyke which uses their technology while at the same time they are planning to port their application to the iPhone. Joomlaworks started as a group of freelancers who back in 2006 turned their expertise with Joomla CMS to a startup. It was as ‘simple’ as seeing a gap in the market of Joomla extensions and decided to take the plunge and start a company. Six people are working now in joomlaworks.gr and have created 16 free GPL extensions and 3 commercial ones (available for a life-time fee). They boast 2M+ downloads in 3 years (out of 150M websites running Joomla in total – not a small fraction). They run 7 content websites, 2 community websites and 8 demo websites in order to have a strong presence in the community – and they attribute to that presence their achievement of including 7 of their apps in the Top-100 Joomla directory. This is their company’s core philosophy: make a few excellent apps and release them for free to attract attention and users – which can then be converted to customers who will buy the premium apps. As programmers the philosophy (of the Greek part of their company at least) is to create websites for customers but they also give back to the developers’ community. In other words, they leverage the community for help but also are there to return the favour. So far they have established a good and steady revenue allowing them to experiment with further business models and create new products. Their main experimental product-to-come is K2 which is currently free and combines the best bits of existing CMS packages like WordPress. Their other product is TemplateWorks – i.e. creating templates for Joomla initially for free to attract attention and hopefully later for a fee. Also, it’s in their plans to enable the creation of video platforms as well as even more interestingly a web service that will enable Joomla extensions to operate in other CMSs in order to go over the strict Joomla borders. Following to his presentation at Open Coffee Athens XXV, Martin Linkov of Favit writes about the status of the Bulgarian start-up market, paving the ground to cooperation across our communities. a) outsource their work to companies like HP, IBM, Gameloft, C3i, Cisco or those of the hosting industry like Aplus.net (the one I started my IT career from with more than 200 employees in its best days) , Hostway, etc. b) freelance their skills mainly via GAF and EUfreelance.com, GetaCoder, etc. Developers and Designers are considered as high paid positions, however due to the different standards between Bulgaria and Greece, their typical monthly wage is even less than the “Genia of the 700 euro”, starting from as low as 500 euro/mo and growing depending of the position and the company to 800 euro, 1000 and very slightly above the 1000 euro mark (in most of the cases). NEVEQ – a fund founded in 2005 with 22 mln. euro for investments in tech companies. The fund gradually increased its capital to 32 and is moving close to the 40 now. Some of their projects include Lessno – “Less Money, No Hassle” – a search engine for cheap flights worldwide (initially invested 3 mln in 2007, second round of 1,5 mln in October 2008, 2 more mln in July 2009, now control 100% of the start up, due to problems with the management) and FinAnalytica, a company for estimating and prognosis of financial risk, with a 5 mln. 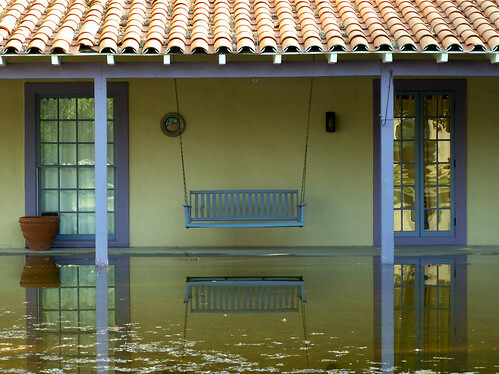 investment in March 2008. The fund currently has 7 companies in its portfolio, including Semantic Search Company OntoText and an innovative Data Center Builder one. Future plans of the fund include investing 5 mln. for four new companies, 2 in Southeastern and 2 in Western Europe. Other funds with interest to Bulgaria and the region are GED, Global Finance, Balkan Accession Fund, Bancroft, ARX (the new DBG), Mid Europa Partners, as well as the purely tech funds 3TS Cisco and Advent. The Start Up community in Bulgaria is pretty small and new. However, due to good university policy in that sphere, it gets a lot of support from the Sofia University and the Technical University in Sofia – including rooms to held conferences, speakers. 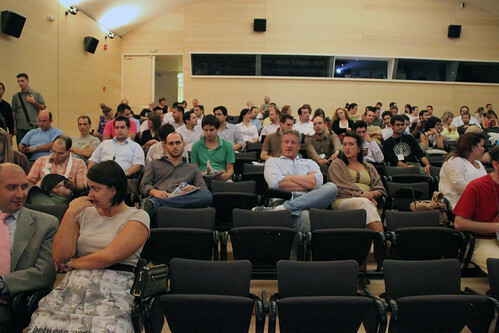 For the last 3 years the Start Up seminars have been held for about a day and this year we had the first Start Up IT seminar with speakers from the industry, lawyers, business angels, and a few wanna-be investors. The Nova Tech competition is also an important event for the community. 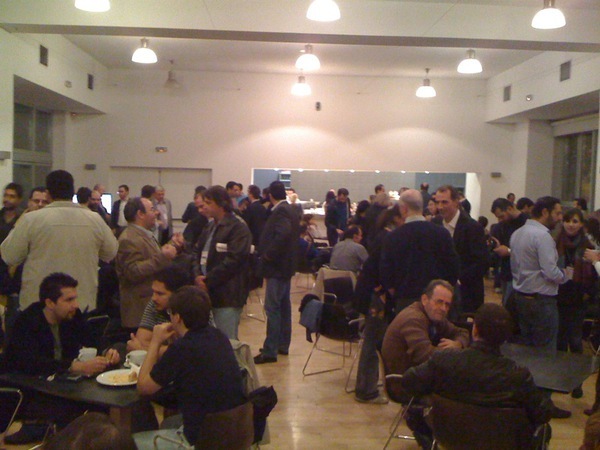 The start up community is gathered around the Startup-bg.org website with its subsites of Init Lab – a coding event- and the newly founded Marketing Lab – a marketing experiment lab. It is to our great pleasure to share with you and the world that the Netflix Prize is finally over, with Nicholas Ampazis and George Tsagas being the core members of the winning team. The contest, featuring one of the biggest datasets ever published, opened new frontiers in the areas of Data Mining & Machine Learning and could easily be characterized as’ The Olympiad of Data Mining’. Netflix, the biggest online video rental service in the US, literally crowdsourced the optimization of its recommendation system, giving away -next to the data- a prize of $1M. (You may read more in the NYT or Wired, or you’d better wait for more updated articles to come). To put this success in context, let me also mention that over the 2 years that the contest was running, more than 40,000 teams from over 160 countries participated. The final winner in a very tight race with consecutive submissions till the very last moment is The Ensemble team, the full member’s list is available here. update: Netflix will officially announce the winners in a couple of weeks, based on a separate test set to validate the robustness of submissions to overfitting. update 2: It seems that, Bellkor’s submission was better in the test set, at least this is what a member of the team states at the netflix forum. And we really have no reason to argue against that, it looks like a proper time to congratulate the team. The official announcement is still pending.